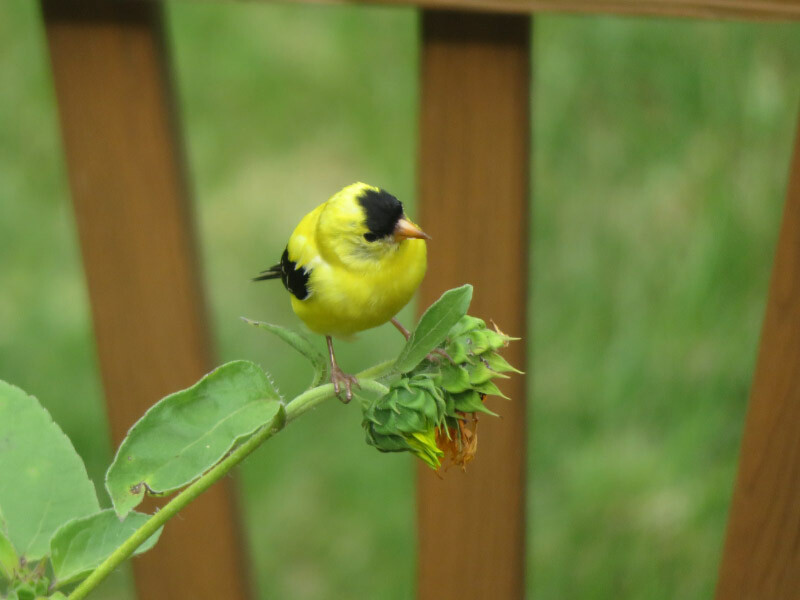 The goldfinches are enjoying the sunflowers on the deck…making them easier to photograph. The look about after each acrobatic move to pluck a seed. A fledgling was making quite a fuss on the deck roof outside my office. 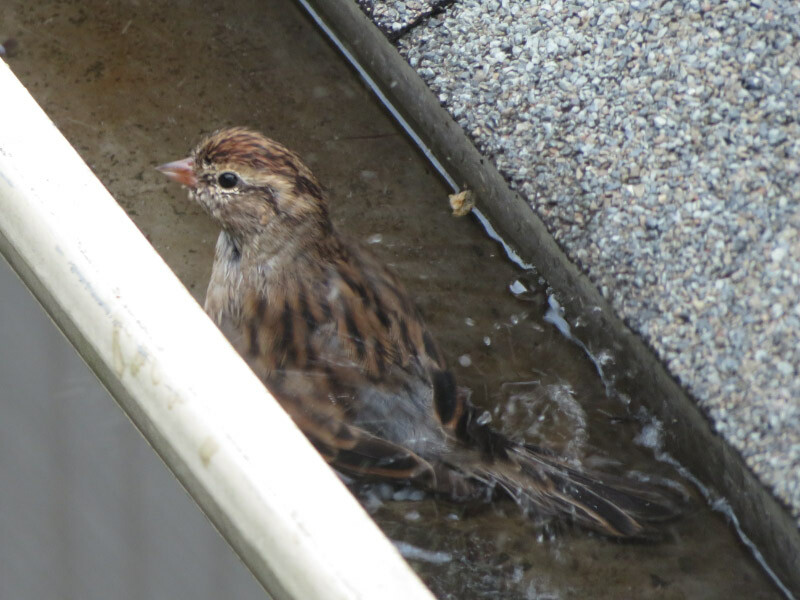 I looked around to see what else was going on and discovered the parent in the gutter --- ignoring the noise from the fledgling and enjoying a bath! A few days later our resident Carolina Wren was out early and singing. 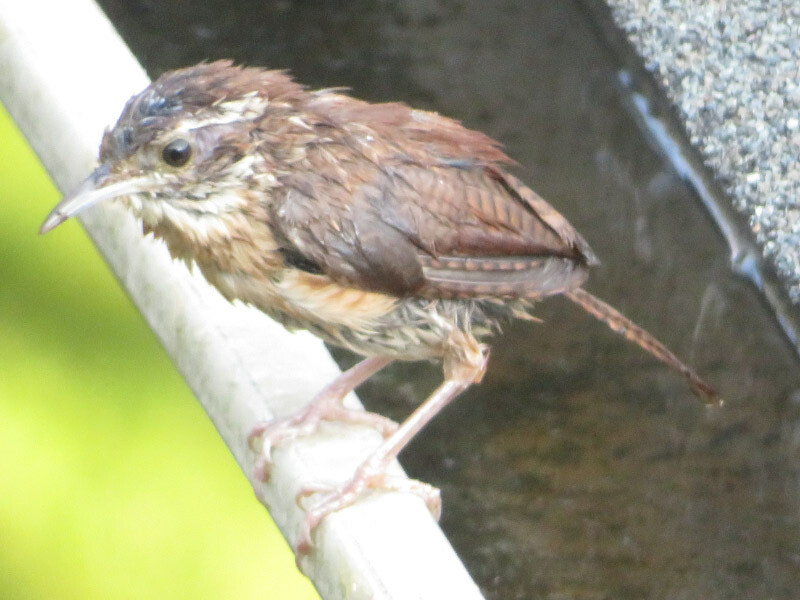 There was still water in gutter and it soon took a bath and emerged very wet and bedraggled looking.